Statue of Ganesh. 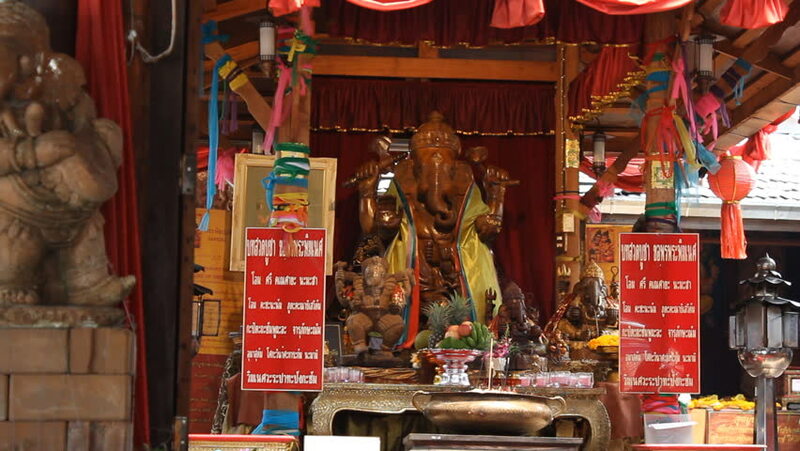 Shrine with statue of Ganesh at floating market in Pattaya, Thailand. 4k00:27Hong Kong June 2016: Many traditional Chinese signs on busy street. Busy street with people and cars in Kowloon area. Densely packed traditional Chinese signs in commercial downtown area in China. 4k00:30HONG KONG - CIRCA APRIL 2018 : Bright NEON SIGN BOARD around MONG KOK area.